The University of Buckingham has come at the top of the rankings in the first-ever Teaching Excellence Framework (TEF) rankings. Buckingham has been awarded Gold and achieved a remarkable result with “double positive” ratings in all six categories. The majority of universities, over two-thirds achieved only silver or bronze. 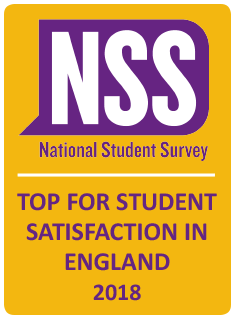 Buckingham is proud to have been top or near the top of the National Student Survey (NSS) in student satisfaction since 2006. The NSS provides all final-year undergraduate students in UK higher education institutions and further education colleges with the opportunity to express their opinions on what they liked during their time at university. Sir Anthony Seldon, Vice-Chancellor, said after Buckingham came top of the NSS in 2017: “The NSS remains the voice of the UK’s students and Buckingham is thrilled to be top once again; we are very fortunate to have such great students and academics who clearly make learning at Buckingham such a success for all. It is a shame for students when considering their choices that some universities have not been included in this year’s results”. The University of Buckingham has been awarded the QAA Quality Mark for meeting or exceeding UK expectations for quality and standards in its QAA review. Click here to read this institution’s latest review report. Ranked 1st for upholding Free Speech (Spiked Magazine Poll). Real students share their experiences of life and learning at the University of Buckingham.